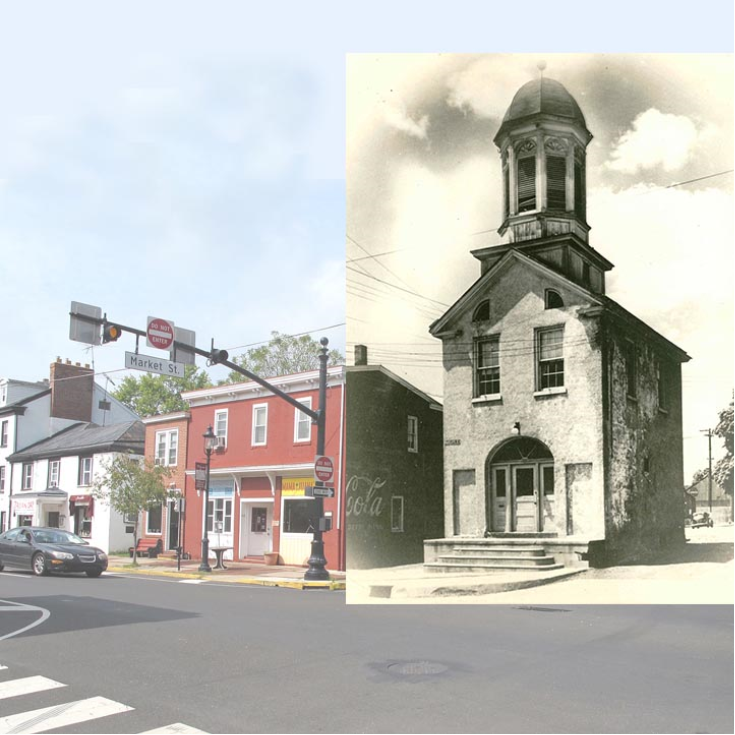 From 1831 through 1939, the original Town Hall for Bristol Borough stood in the middle of Market Street at Radcliffe. Horse-drawn carriages and, later, cars would have to drive around the narrow building to travel up or down Market Street. 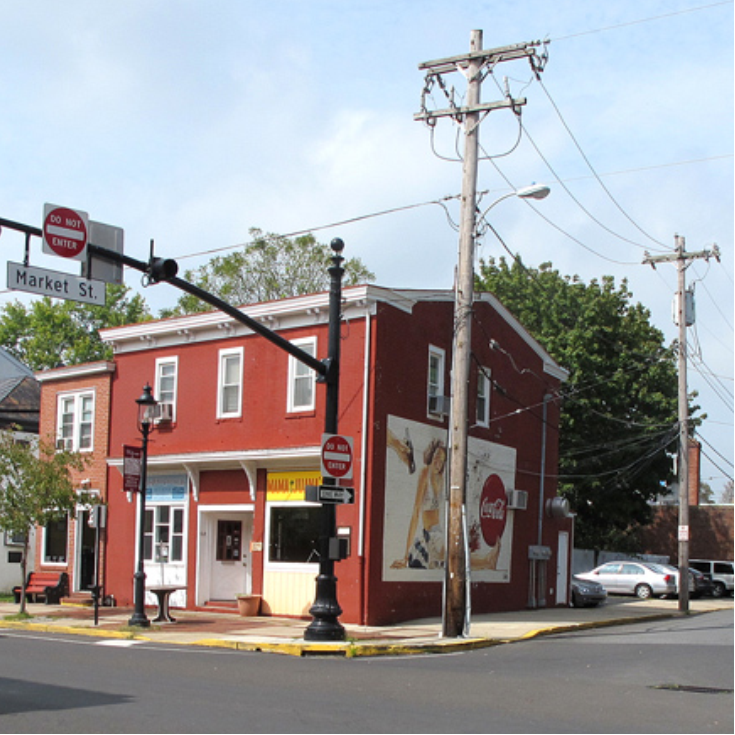 Not long after the new Borough Hall was built at the intersection of Pond and Mulberry Streets, this building was demolished. 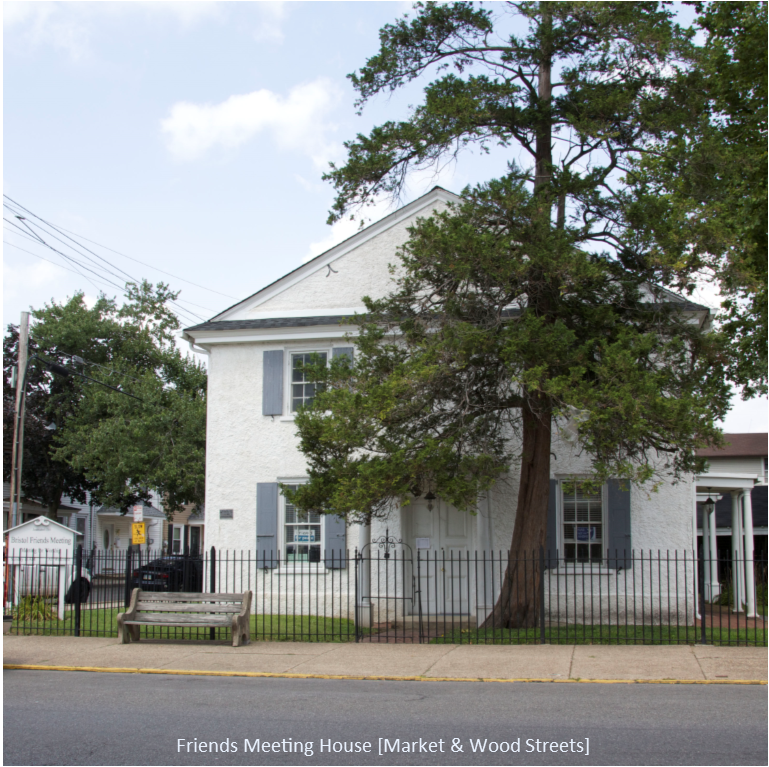 Farther down Market, where it intersects Wood Street, stands the Bristol Friends Meeting House. Built between 1710 and 1713 by local Quakers, this building is thought to be the oldest still standing in Bristol today.